Whether it is Spring, Summer, Autumn or Winter, Somerset has something to offer everybody. From the sweeping landscapes of Exmoor and the Quantock Hills to the magical coastal journey taken by steam train to Minehead or the history of Dunster Castle to the ebbing flow of water at Tarr Steps, beauty is all around us just waiting to be explored. Bring your friends and family to Somerset and enjoy Cannington Grange as your base for days out or just for relaxation. 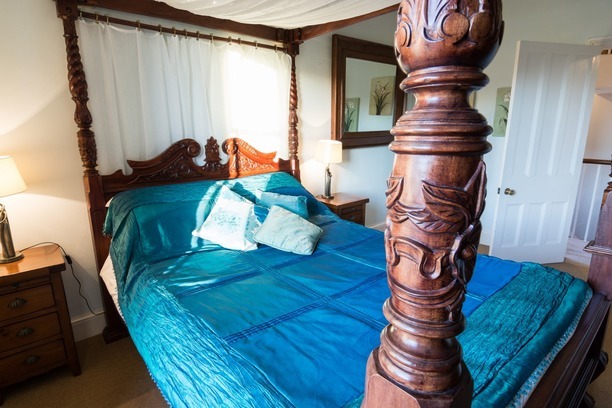 During your stay you will have access to the house in its entirety, the swimming pool, sauna and hot tub, the extensive gardens and the function room. Should your group wish to practice yoga or meditation our function room is at your disposal. 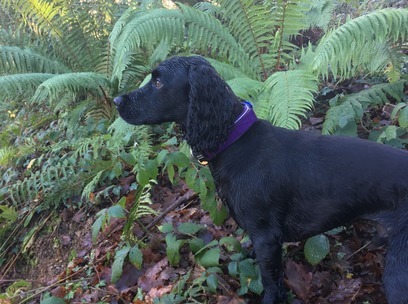 We appreciate that dog owners like to bring their four legged friends away to enjoy the coast and countryside aswell so please ask when booking about bringing them along. We can supply food and water bowls, blankets and a crate if required. If you are travelling to Cannington Grange for a celebration we can put you in touch with our entertainment manager so that you may discuss your party arrangements to make your stay as exciting or as adventourous as you wish. Should you desire a night off, we can put you in touch with a private chef who works with us at Cannington Grange and would welcome the opportunity to cater to your individual tastes. 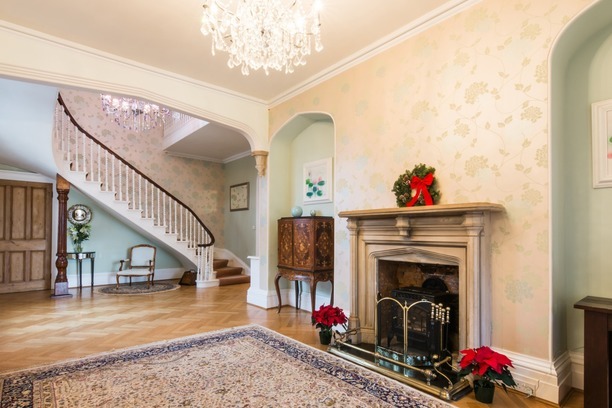 The grand main reception hallway provides immediate views to the sweeping staircase leading to the upper floor. From this grand entrance one can access the kitchen, the intimate morning/dining room which seats 30 guests comfortably, the main double-length lounge (there are 2 others to choose from) with a 65” flat screen television and conservatory overlooking the quiet lake, and of course the new 1,800 sq ft ballroom/function room. The stunning function room, with flooring to replicate the Palace at Versailles, has 6 huge skylights bringing natural light into the space and a 12-metre span of slim bi-fold doors incorporating integral blinds. This elegant space overlooks the Victorian-styled herringbone bricked patio area with outside seating utilising the existing garden furniture, additional guests may be seated if the wonderful marquee is set up and the bi-fold doors thrown open. The function room is nestled between the two wings of this 20,000 sq ft majestic manor house, which itself sits within extensive 3.5 acre gardens which has a rare Victorian ha ha still in situ, adding a touch of real history to this already elegant offering. You will find a well equipped kitchen for guests use, ideal for large groups enjoying time cooking together and a commercial kitchen catering for our functions. 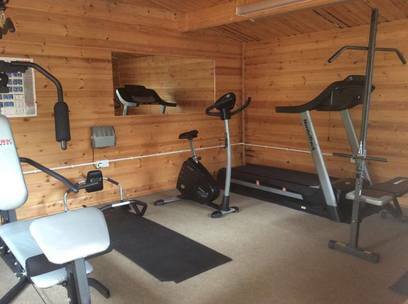 Two bedrooms on the ground floor have limited mobility access and are both en-suite, one with bath and shower, one with a shower. 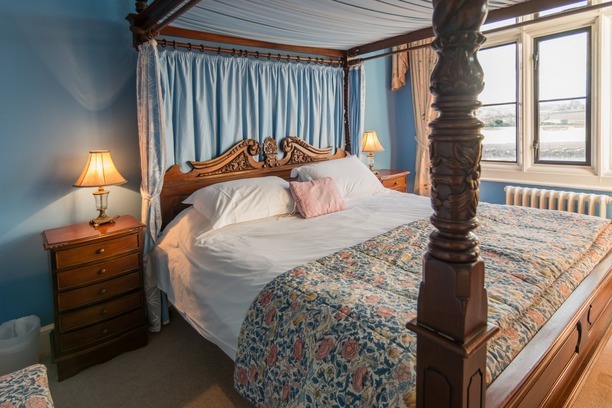 The principal dual-aspect bedroom can be used as a bridal suite with a super-king-sized bed and views over both the croquet lawn to the front and lake to the side, this sumptuous room has an en-suite bathroom with shower and ample hanging space for your clothing. 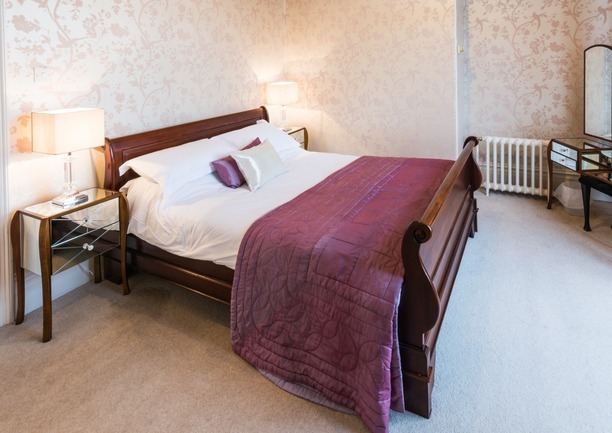 There are eight further bedrooms, six of which are en-suite, the other two bedrooms have a separate shower room. Please see the frequently asked questions page for further information regarding the layout of Cannington Grange. At the top of The Old Tower is the separate two story duplex apartment with its own front door and bell, complete with a lounge/diner and separate well equipped kitchen, there is also a good sized shared separate family bathroom and all aspects of this unusual apartment provide wonderful views across the Somerset hills. The Old Tower comprises of six bedrooms in total. 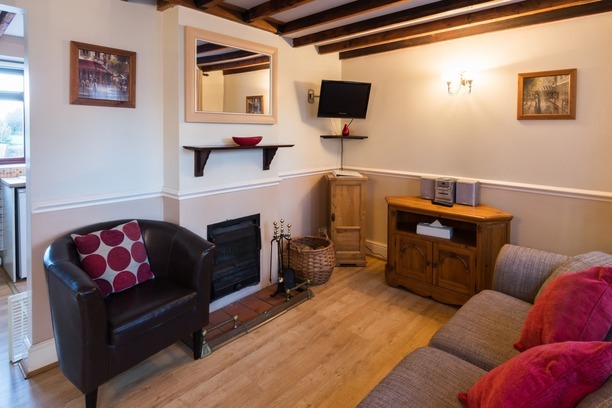 Farthing cottage lounge has a delightful beamed ceiling with an open fire place, ideal for cosy nights in. The kitchen overlooks the patio area to the rear and upstairs there are two bedrooms both with 2 single beds. Two of the single beds can be zipped together to create a double bed if required. There is a family bathroom for your convenience. 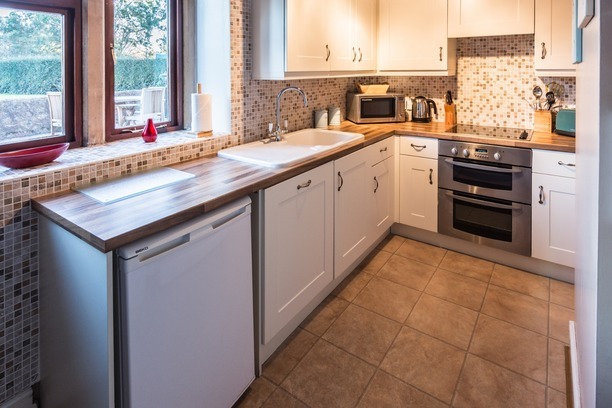 Honeycombe Cottage has a different feel from Farthing Cottage; the ground floor is open plan with a comfortable lounge area, dining area and well equipped kitchen, ideal if you have little ones to keep an eye on. 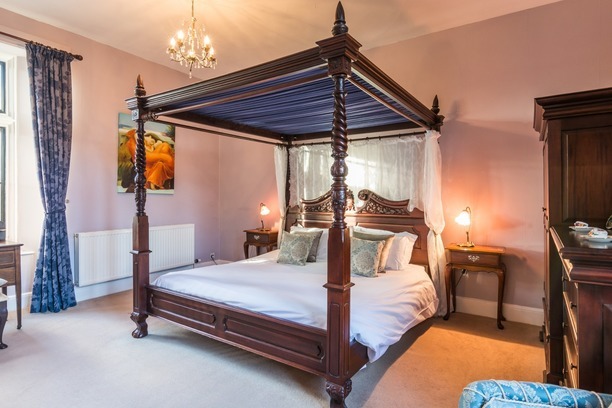 The bedrooms are created in the original stable attic with a double bedroom and second bedroom comprising of 3 single beds, ideal for families to have their own area within the Grange. 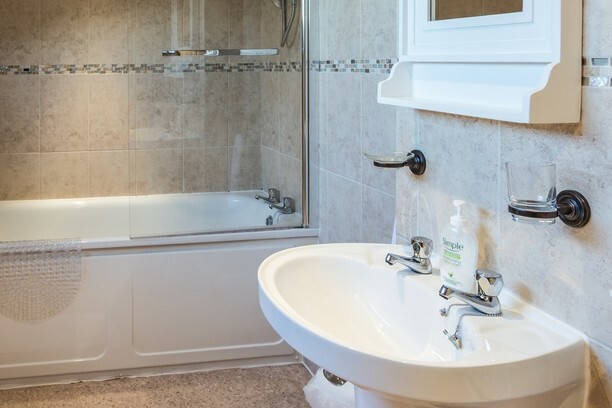 A good size family bathroom is always handy after busy days out exploring and playing. The bar area is located in the Victorian snug and can be staffed if you wish; there is also a small laundry at your disposal with detergent for you to use. 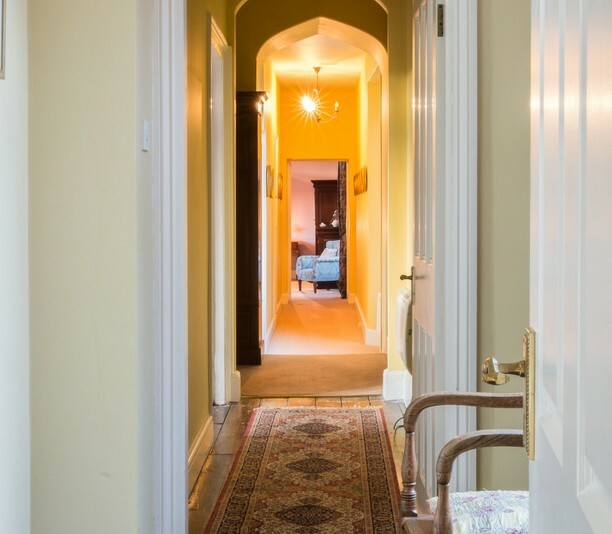 The games room is located next to the snug and has an array of items to keep everyone amused. 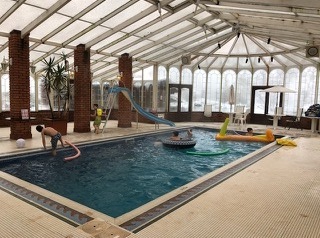 In the Victorian gardens there is the pool house with swimming pool, sauna and hot tub, a gym for your use and extensive seating so that everyone can enjoy the glorious countryside views. The Courtyard store room houses everything you need for a barbeque which is ready for you to use to dine al-fresco on gloriously warm evenings whilst taking in the views of the sun setting over the Quantock Hills. 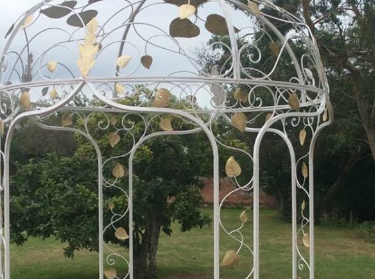 We wish your stay at Cannington Grange to be as seamless as possible and therefore have tried to consider all eventualities of your requirements. We have an immense passion in ensuring that Cannington Grange is protected for future generations to enjoy. Once you have stayed with us, we are sure that you will share our sentiments, become our friends and return for many years to come. We look forward to welcoming you. I agree to The Cannington Grange Ltd using the information provided to include me in only a subscribers list for the newsletter and occasional special offers.